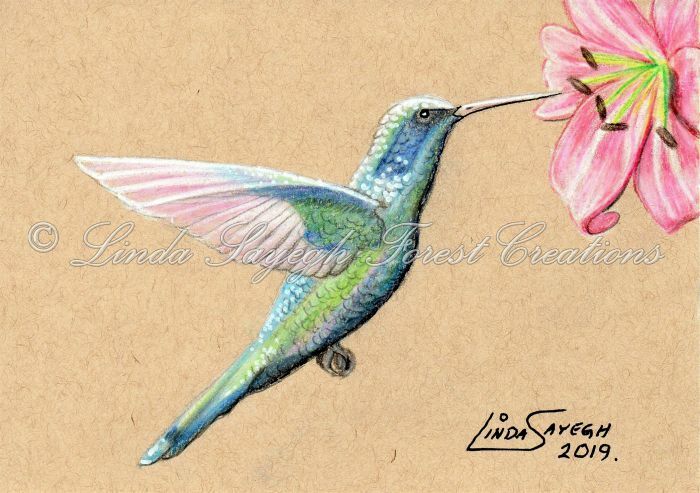 I've always loved pretty little Hummingbirds... Colored pencils, Sharpie paint pen, white marker, on Strathmore toned tan paper. 5 x 7 inches. Jools62 says: Stunning Thank you for choosing my prompt x	~ Reply? Linda Sayegh replied to this: Thank you Julie! Evelyn Henderson says: Beautiful ! ~ Reply? Mayumi Ogihara says: What a beautiful sketch, Linda!! ~ Reply?